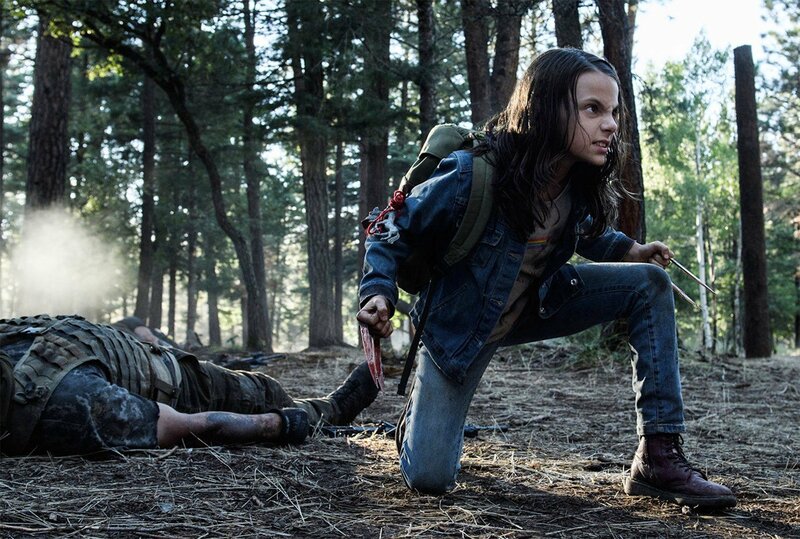 Logan’s breakout star, the actress who played Wolverine’s daughter, is going to star in a new adaptation of Philip Pullman’s His Dark Materials fantasy book series. Deadline announced Thursday that actress Dafne Keen signed on to the project with The King’s Speech director Tom Hooper at the helm. The eight-part series will be produced by Bad Wolf and New Line Cinema and filming will start in Wales sometime during 2018. Yes, this is a truly bonkers story that goes to all sorts of weird places in its multiverse. Dakota Blue Richards played Lyra Belacqua in a widely panned film adaptation of 'The Golden Compass' (2007). Despite being written for a younger audience, the series grapples with heady concepts of philosophy, physics, and even theology. It explores the nature of death and God all while children have cute physical manifestations of their souls that assume the form of talking animals. And they shapeshift until the children come of age and become one animal permanently. A film adaptation starring Daniel Craig and Nicole Kidman in 2007 was widely panned for being a bit too campy and childish for its own good, but with a more serious cast and crew on board for this new adaptation, fans of Pullman’s work have every right to get excited. Furthermore, Hamilton hot-shot Lin-Manuel Miranda will play the cowboy balloonist-adventurer Lee Scoresby, who’s fun-loving joyous persona more accurately captures the spirit of the character rather than Sam Elliott’s portrayal in the 2007 movie. This production was originally announced way back in 2015, but without any news in so long, most of us assumed it had been scrapped. But with all these recent casting additions, our dreams might actually become a reality. The Bad Wolf production company calls this new series His Dark Materials, but the title has yet to be confirmed. No release date has been announced.